The Smart 2-Port USB Car Charger is an ideal solution for charging mobile devices while on long road trips or short commutes. 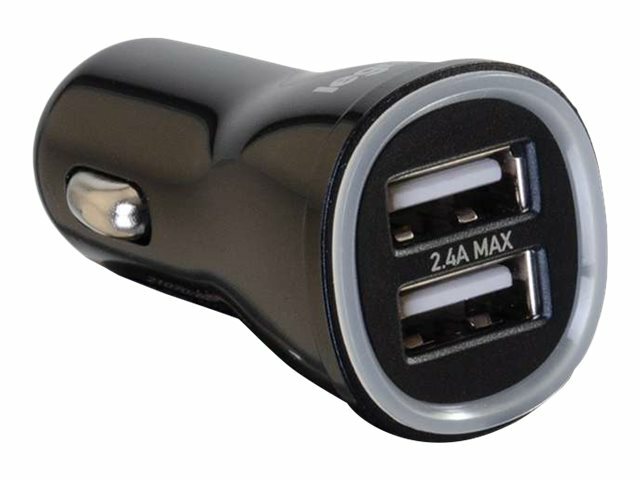 This high-performance car charger features a compact design for easy portability and provides a power output of 5V and 2.4A for device charging. The charger includes two USB-A ports to charge two devices at once. The Smart-IC technology identifies the mobile device's unique charging requirements to safely charge at the maximum speed. Having the ability to detect the accurate current output allows for protection against overloads, which can damage valuable mobile devices.